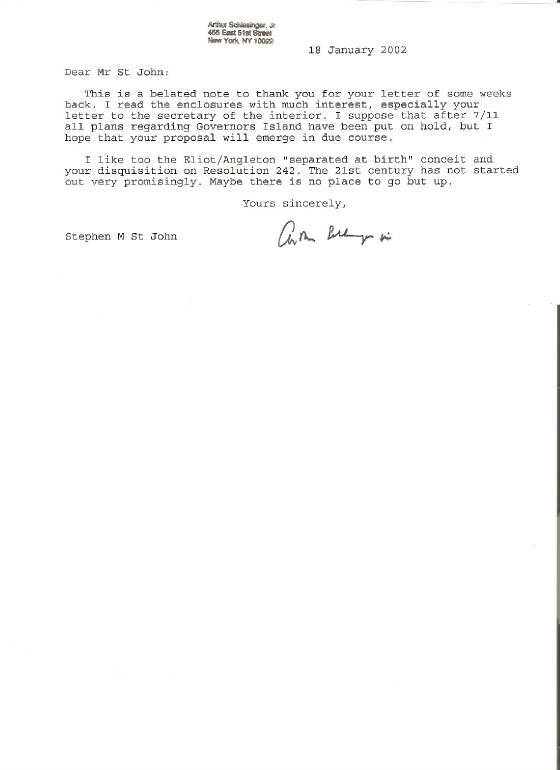 Schlesinger's letter is the first ever mention by a notable person of the Angleton/Eliot same man theory. Fifteen months later, on 7 April 2003, Random House published the memoirs of former Director of the CIA Richard Helms, A Look over My Shoulder, where he wrote that Angleton had a "not entirely coincidental resemblance to T. S. Eliot."